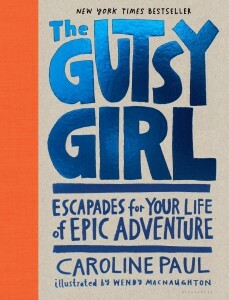 Our new featured story comes from author and adventurer Caroline Paul. It’s her story about what it was like to be one of the first female firefighters in the San Francisco Fire Department. Paul’s book is is filled with suggested activities, fun illustrations by Wendy MacNaughton (her “Gutsy-o-meter” is currently our Facebook page header), and stories from Paul about some of her own adventurous escapades, starting when she was a kid. The book hit #5 on The New York Times Bestseller list shortly after publication. It’s been said that courage is not the absence of fear, it’s acting in spite of it. So here’s to gutsiness. Whatever your gender or your age, don’t let fear hold you back. Go outside and have yourself an adventure!